A few months ago, I attended a women’s breakfast with an intergenerational theme. My daughter performed there as a “millennial” in a skit that highlighted just how different she was from her “mother,” the Generation X-er and her “grandmother,” the Baby Boomer. The skit was funny and light-hearted as the players tried to plan a baby shower from their three different—and stereotypical—perspectives. But, as can happen, interactions became a bit heated when they tried to push their own agendas. Eventually, however, instead of being frustrated with one another, they decided to focus on their similarities rather than differences and work together. If our society could learn to do that in real life, I believe we could get so much more accomplished! It often also is interesting to experience a different point of view. And that was the point they were trying to make in the skit. I work for an organization that serves people of every generation and I love the perspective it offers. One of my favorite Diakon locations is The Lutheran Home at Topton in Berks County, Pennsylvania. On just that one campus, we have the Helen Palmer Center for Permanency that serves foster and adoptive families, a comprehensive senior living community and even the local public library! 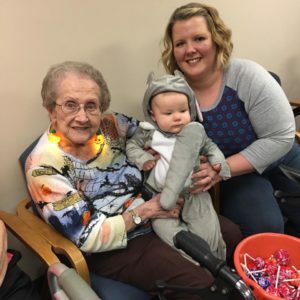 The campus hosts events such as Grandparents’ Day and a holiday toy drive within the senior living community for children in Diakon’s foster care program. 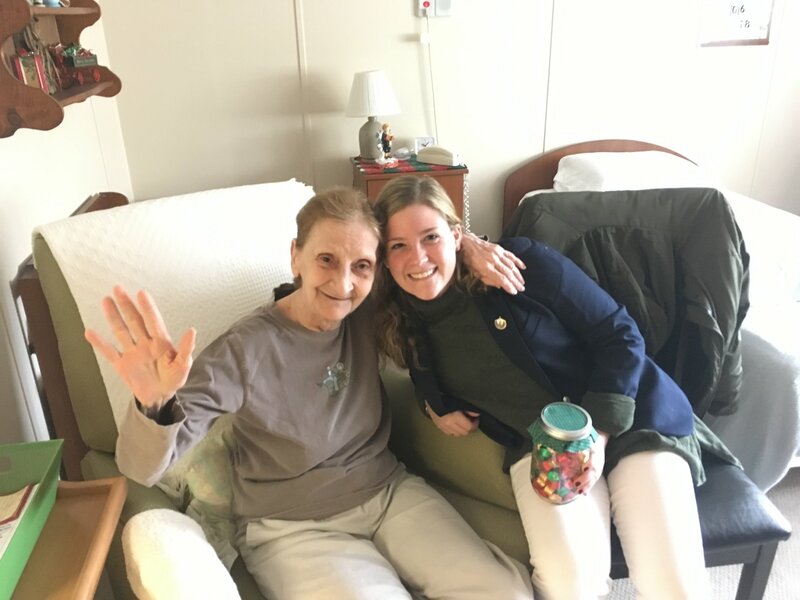 Each year at another of our senior living communities, Manatawny Manor, Pottstown, Pennsylvania, local students from The Hill School interview residents during a six-week period, then enjoy a luncheon and presentation of what they learned about—and from—our residents. I get to see all those smiling faces in photos and hear stories about how rewarding this activity is for everyone involved. The moral of that story is that we can learn a lot from people older and younger than we if we take the time to listen. 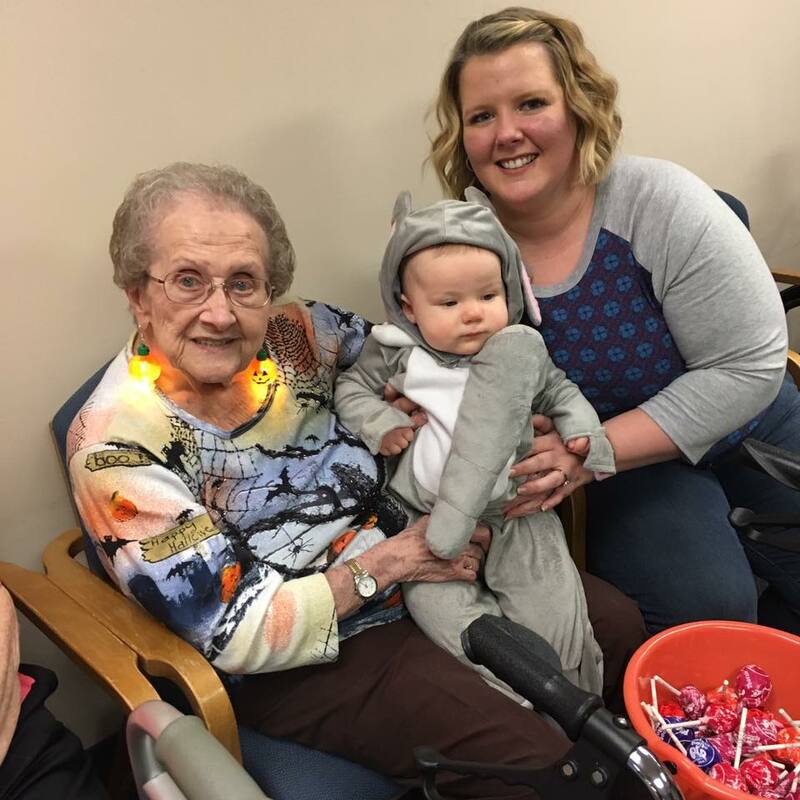 And you should just see the delight on everyone’s faces when Halloween comes around and our senior living residents get to hand out candy to pint-sized trick-or-treaters. There are some really rewarding reasons to be purposeful pursing intergenerational activities and friendships. Visits from younger people can help older adults feel less isolated and lonely. The seniors also can take advantage of the technology skills that millennials and younger generations are able to teach them. 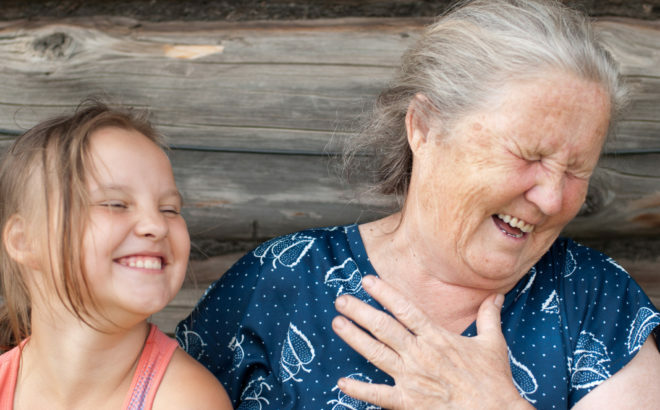 In exchange, elders can share their perspectives and advice for navigating life experiences that no matter what age you are, you eventually encounter. Older adults often are strong role models and mentors for younger people because of the things they have accomplished and lessons they have learned in their own lives. Even those Gen X-ers, who seem caught in the middle of both generations, have a lot to offer. It’s almost as if they are a bridge between the oldest and youngest of our society. They tend to be flexible and adaptable, which helps to encourage collaboration among the generations. Whether you are young or young at heart, don’t allow stereotypical differences to hold you back from engaging with someone who’s not your age. You may never know what you’ll learn, or the impact you could have on another person, if you don’t accept that opportunity.